Not only am I a foodie who eats too much, but I am also a major tech nerd. Years ago, I even thought I was going to be a tech blogger, except buying new tech toys gets to be too expensive. After 2 detailed posts on a currently in maintenance personal website, I gave up. Fast forward like 4 years and now I’m writing about and taking photos of food as I not only go over budget and worry about my weight and health*. *Don’t worry, my overall health is good and my weight is going back down. My job, paired with my interest in changes in the consumer technology landscape, gives me the opportunity to attend CES in Las Vegas. This was my 3rd year in attendance. CES is the International Consumer Electronics Show, which is held every year the second week of January. This show was originally created to allow big electronic companies to show off new and concept products, smaller electronics companies to find vendors for their products and component companies to sell parts for electronics. The show has since expanded to a point that if a company does anything that is remotely close to electronics it is being shown off. However, I’m not really going to bore everyone with a long write up about the voice assistant wars or virtual reality headsets that barely work or how blockchain is the future of something or robots with advanced artificial intelligence that still bump into a wall**. I’m just going to show most of the ridiculous food I ate all week. **But you can message me if you want to hear more about the nerdy tech stuff. I knew exactly where I was headed as soon as I got checked into my hotel, In-N-Out Burger. 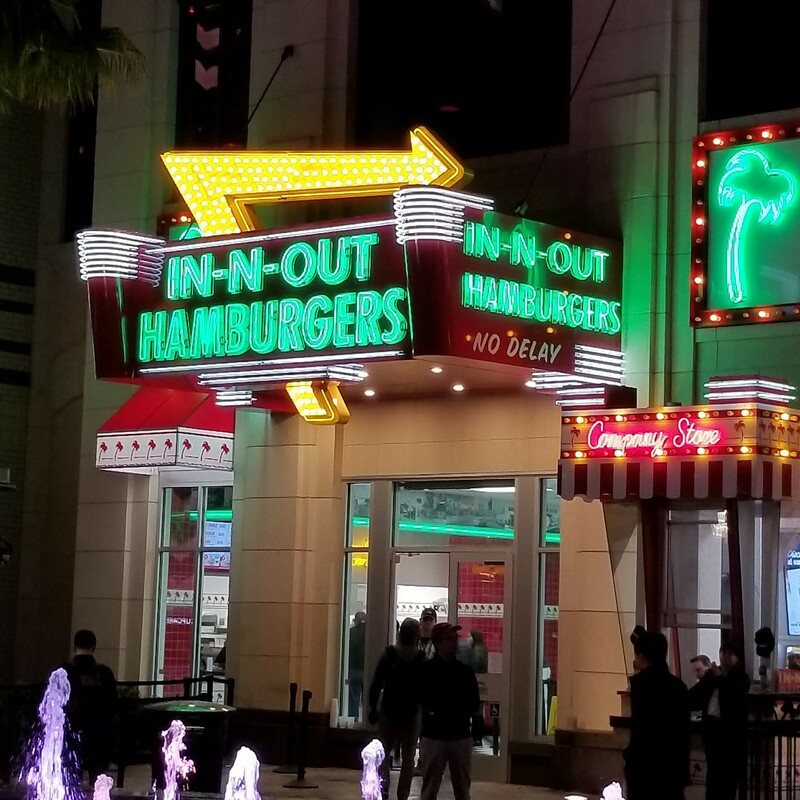 There is now one on the Las Vegas Strip in the Linq Prominade. 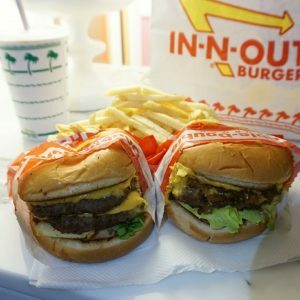 In-N-Out is easily one of the best fast food burgers out there. I won’t go into too much detail since I have once before (you can read about that here), but I still got too much as it is sooooooo good and I probably will not be having In-N-Out again any time soon. 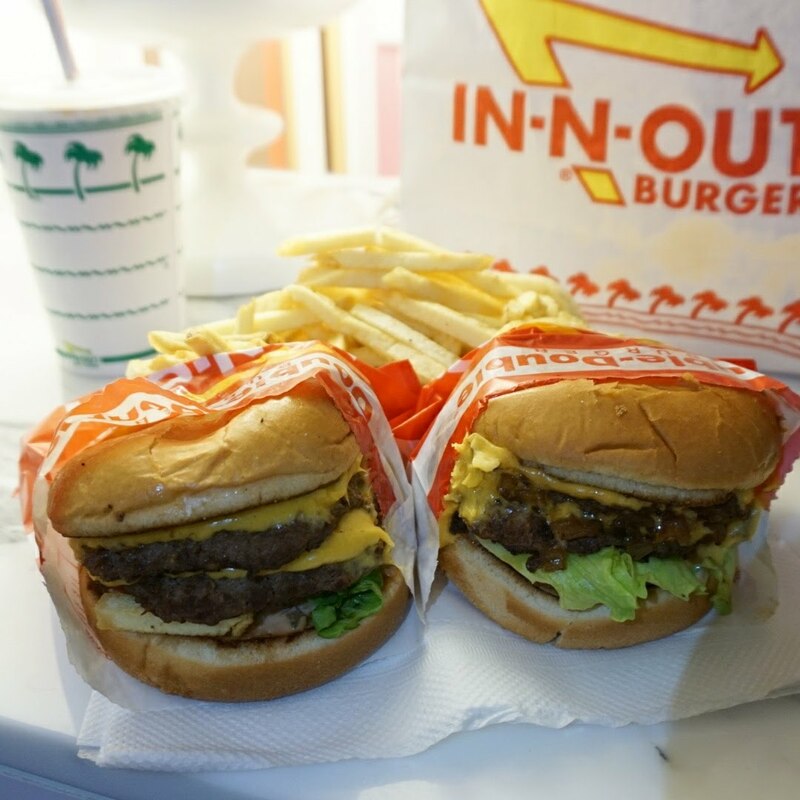 If there was any food chain that needs to go national, it’s In-N-Out. Two hours into conference sessions on my first day at the show, they let us know they never secured a sponsor for our boxed lunch and we would need to pay for it. Topping it off, they were not accepting credit card for the overpriced box lunch. I decided to go find the food court at the Venetian for lunch. I have learned that the food court at the Venetian is located in the Grand Canal Shoppes. I also learned the Grand Canal Shoppes are designed in such a way so you cannot find your way back out. I got lost 4 times in the Shoppes during the two days I was visiting the show at the Venetian and Sands. My lunch was at a fast food fried chicken place in the food court that exceeded my expectations. 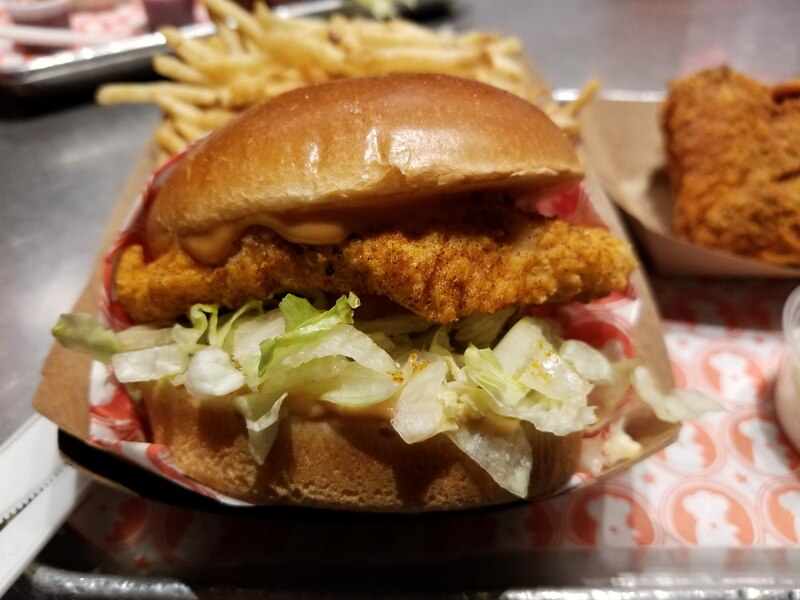 Good flavor to the breading and the chicken tenders were big and juicy. I would have preferred it to be crispier, but still good for a quick meal. This was my second time at this restaurant. I had planned on going someplace else, but due to scheduling issues I made reservations late and ended up here again. The food and drinks are good, but I really was hoping to try something different. 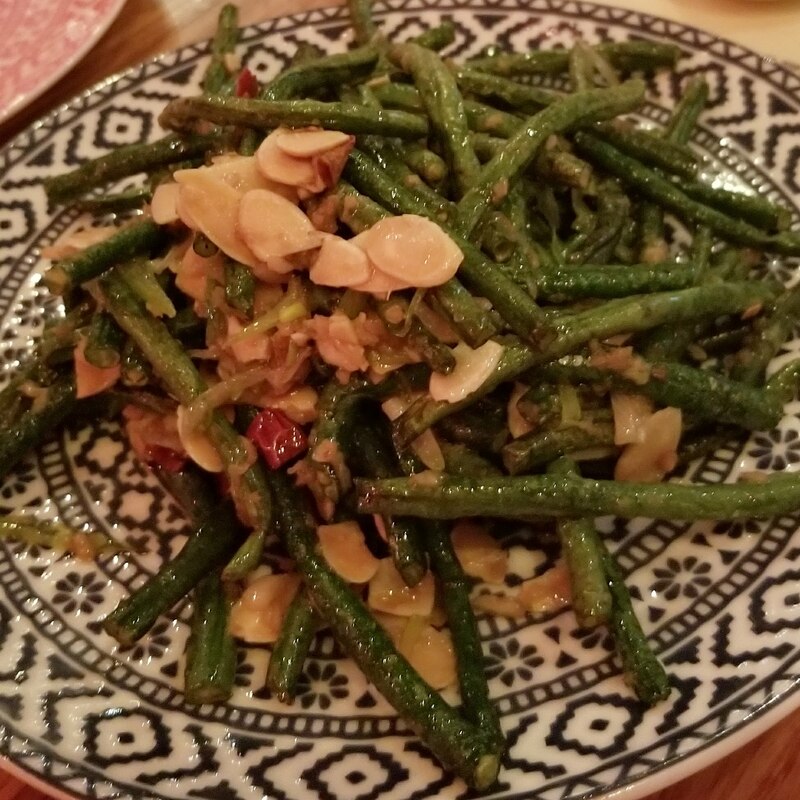 The idea of China Pablano is a fusion of both Chinese and Mexican food. Some plates stick to each traditional style and some go for the fusion. We stuck primarily to the Chinese side of the menu. 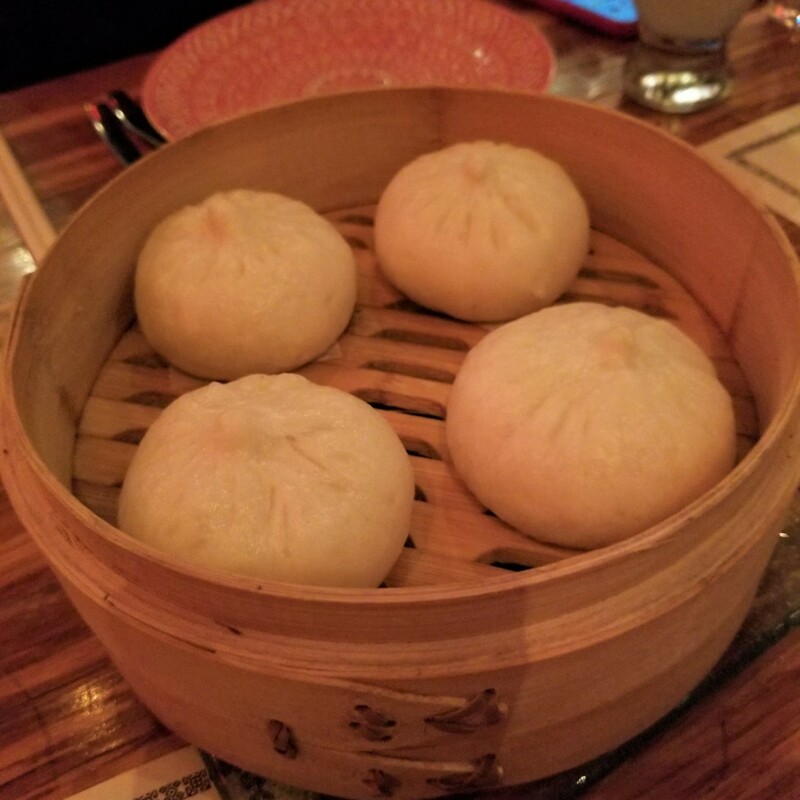 We ordered dumplings, bbq pork steamed buns, sauteed green beans and glass noodles with chicken. 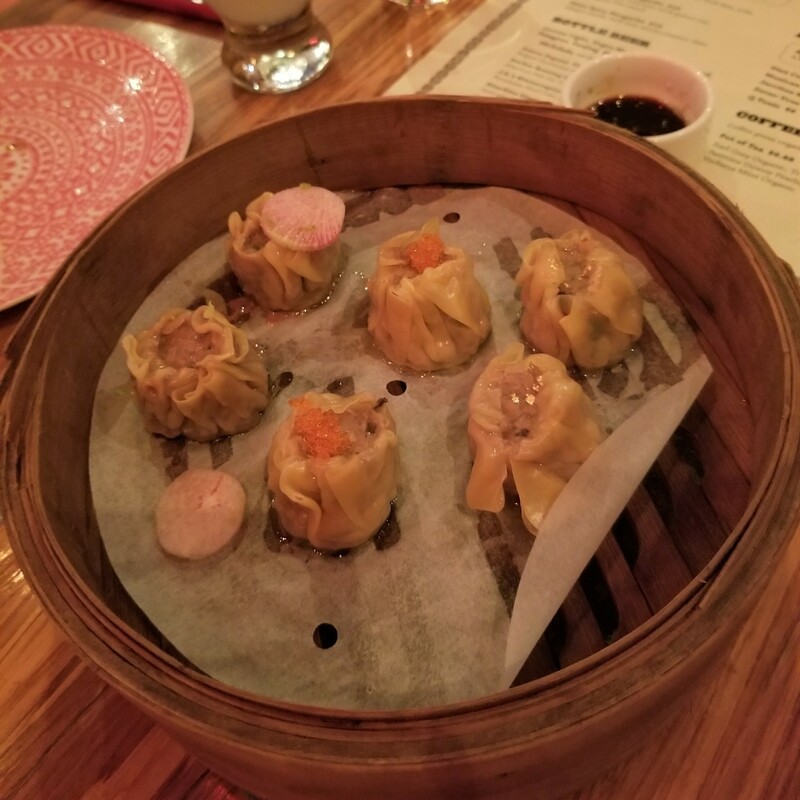 All were pretty good, but the dim sum items were much better. 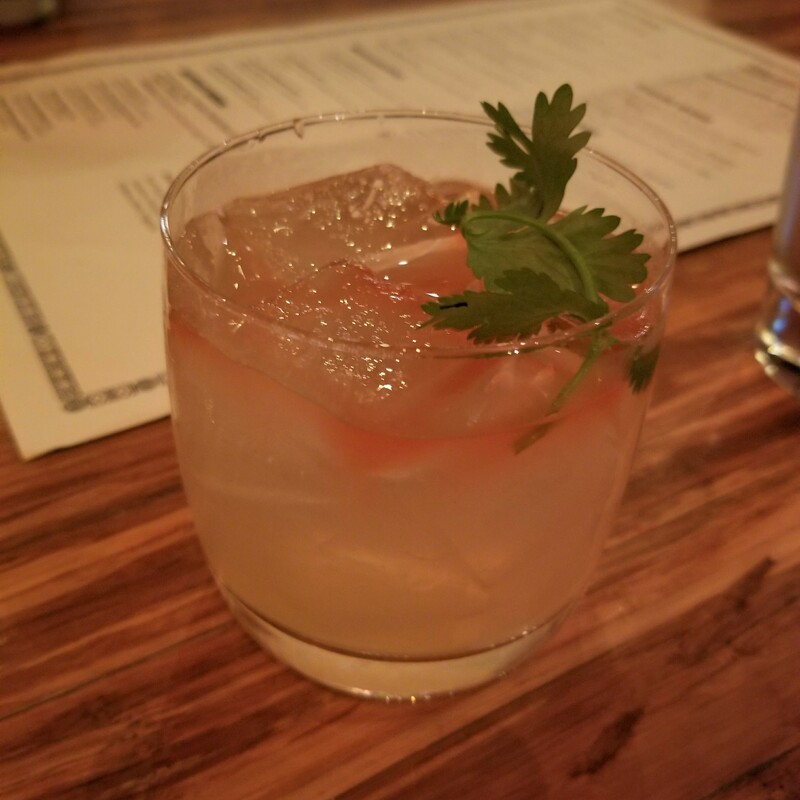 My cocktails were a Ma (rye whiskey, ginger and anise) and Jade Garden (clianto-infused tequila, peppercorn and lime). OK. Let me explain. I was looking for a rather hearty brunch to get me through until dinner that also happened to be next to where I was staying. I completely hate myself, but I actually really liked my meal here. I got the Omelet in Paradise made with cheese, sausage and green peppers. Yes that was the name on the menu. I really hate myself for giving in to such a gimick. However, this omelet was giant and tasted great. It was a good choice, but I still hate myself a little for liking a meal at a restaurant like this. Now on to fried chicken meal #2 of the trip. 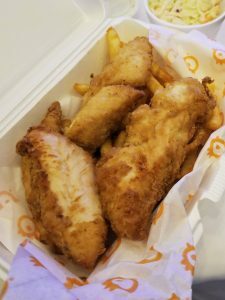 Blue Ribbon Fried Chicken was one of those restautants I have seen posted about so much by mostly New York Instagram foodies. I had Blue Ribbon on my list of restaurants I wanted to visit in New York next time I got an opportunity to make the trip (which hasn’t happened in years). 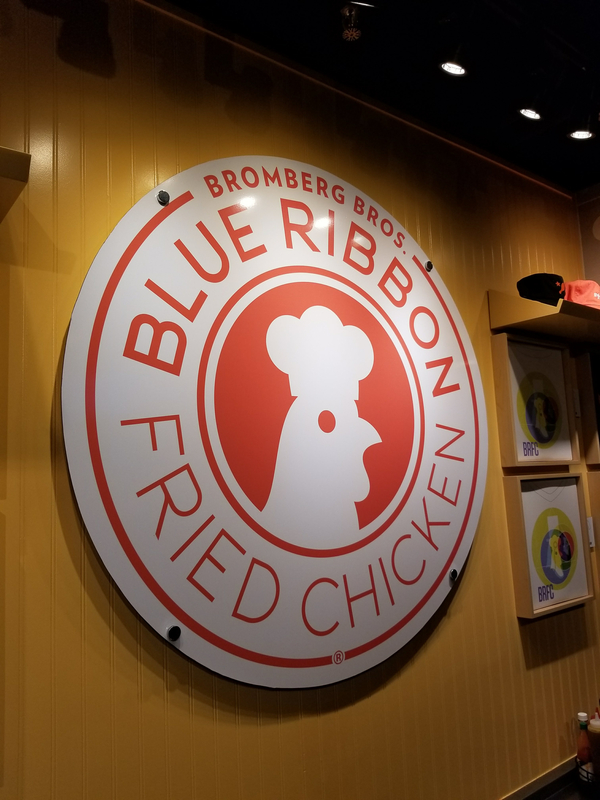 I was very pleasantly surprised when discovered thru a Las Vegas foodie Blue Ribbon Fried Chicken had a location as well as many sister restaurants in Las Vegas Blue Ribbon is definitely up there in top fried chicken that I have eaten. What made this place so great was the breading was full of flavor and the meat was still so juicy and succulant. 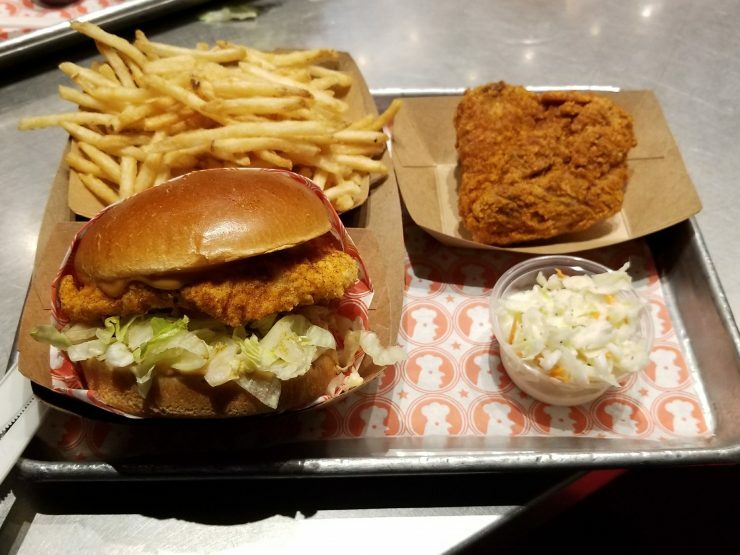 The sandwich I got was basic but had a nice large piece of chicken. The thigh was on point too. The breading was so crispy. This was a place that I probably should have gotten a second meal sometime during my week just to try more things on the menu. I will definitely visit when I do manage to get to NYC. 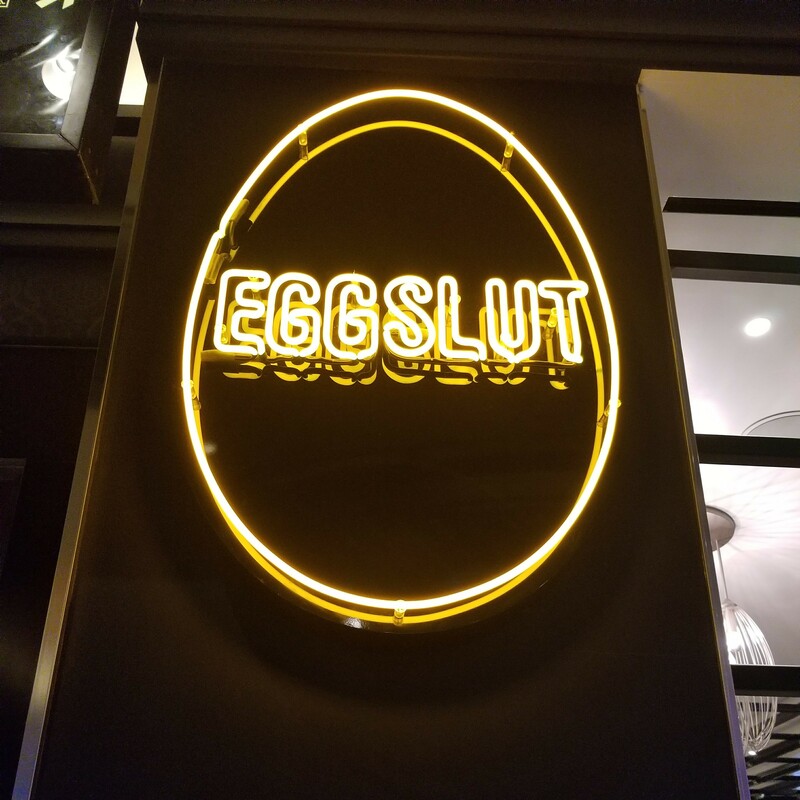 Eggslut was another one of those restaurants I’ve seen so many of those New York Instagram foodies post about when there was a pop up over the summer. They recently expanded to Las Vegas and I couldn’t be more excited to try them. 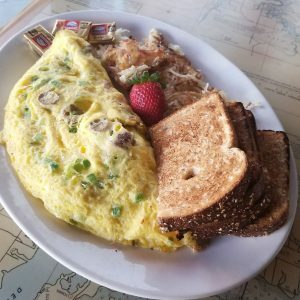 They are a restaurant trying to cater to both foodies and those that just want a basic meal by offering basic egg sandwiches and fancier offerings. What I was not so excited about was every other person in town wanted to try it too. The line was about 30 people deep when I got there. It did move relatively fast, but between the wait to order and wait for my food, I was there at least 25 minutes before I got my food. The wait was worth it. Eggslut might have made the best egg sandwich I’ve ever eaten and I have made myself some pretty impressive breakfast sandwiches. 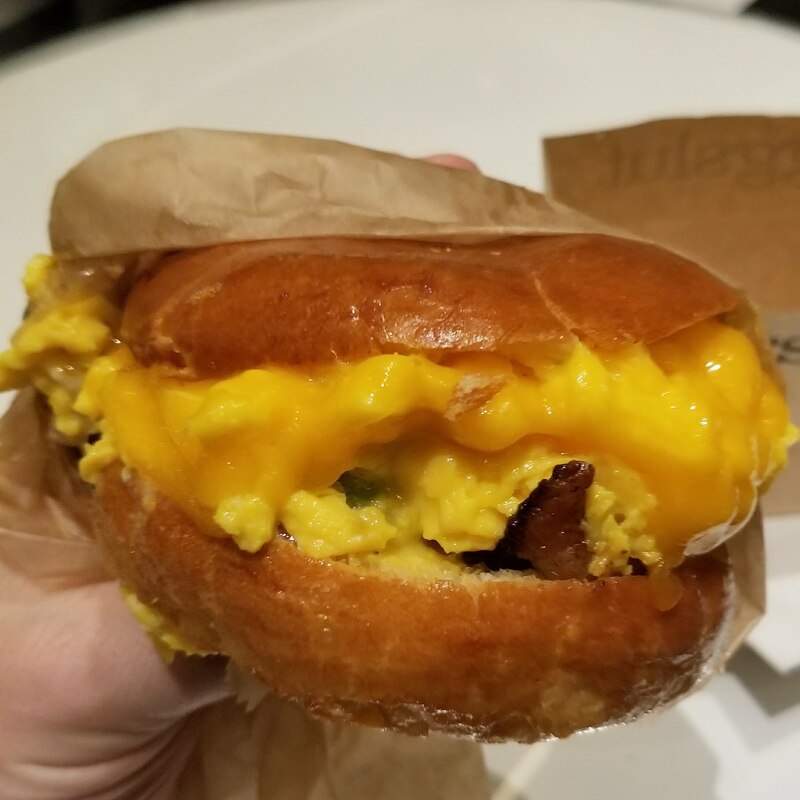 My sandwich was made with scrambled eggs with chive, cheddar, caramelized onions, avocado and bacon on a brioche bun. Just wow. This sandwich was unbelievable. The caramelized onions were really what made this sandwich. It just gives that sweet savory flavor not normally found on a breakfast sandwich. 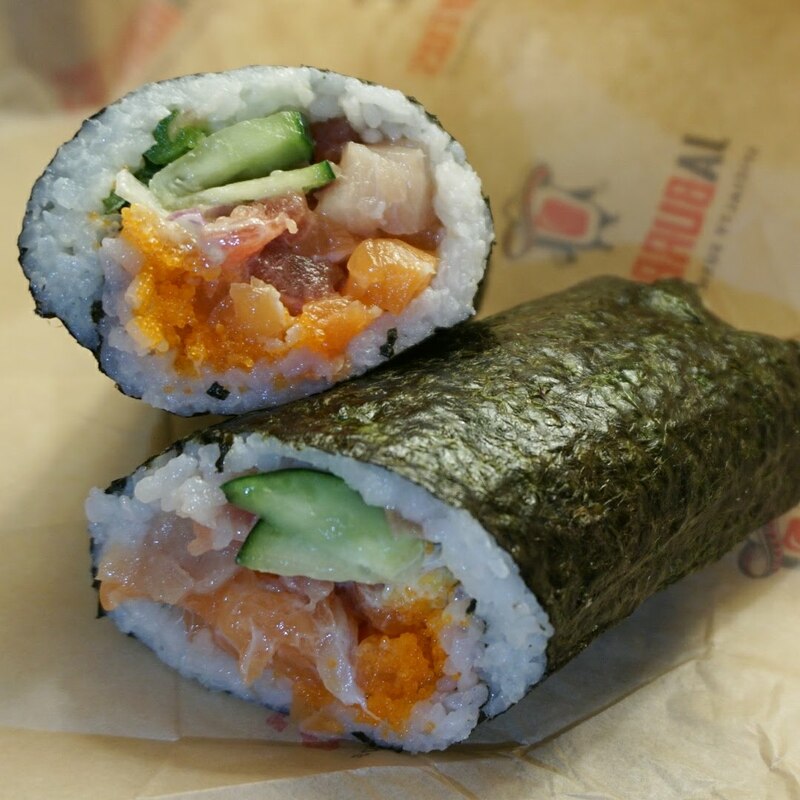 The sushi burrito trend is in full force. Jaburrito is a Las Vegas local chain with a couple of locations. They really did it well. They impressed me right away by the selection of different types of fish and the wide variety of different burritos on the menu. They also had the option to get any burrito as a bowl. I ordered the Redondo as a burrito. It is made with ahi tuna, yellowtail, and salmon with cucumber, masago, red onion, wonton strips, jalapeño, and cilantro with wasabi mayo. 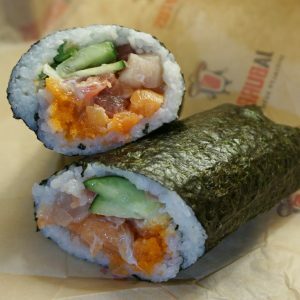 In the past, when I have had a sushi burrito, it’s too big and it really doesn’t hold together. Jaburrito gets it right. They tightly wrap the burrito to make sure it doesn’t fall apart even though it’s stuffed to the gills. They have a device that is used to roll the burrito as tight as possible. It was better than trying to wrap it by hand.It was delicious too. Everything tasted really fresh. All the different ingredients mixed well together. This was just a solid cupcake. I understand they have a lot of deserts on the menu I could have tried. I got a red velvet with frosting. 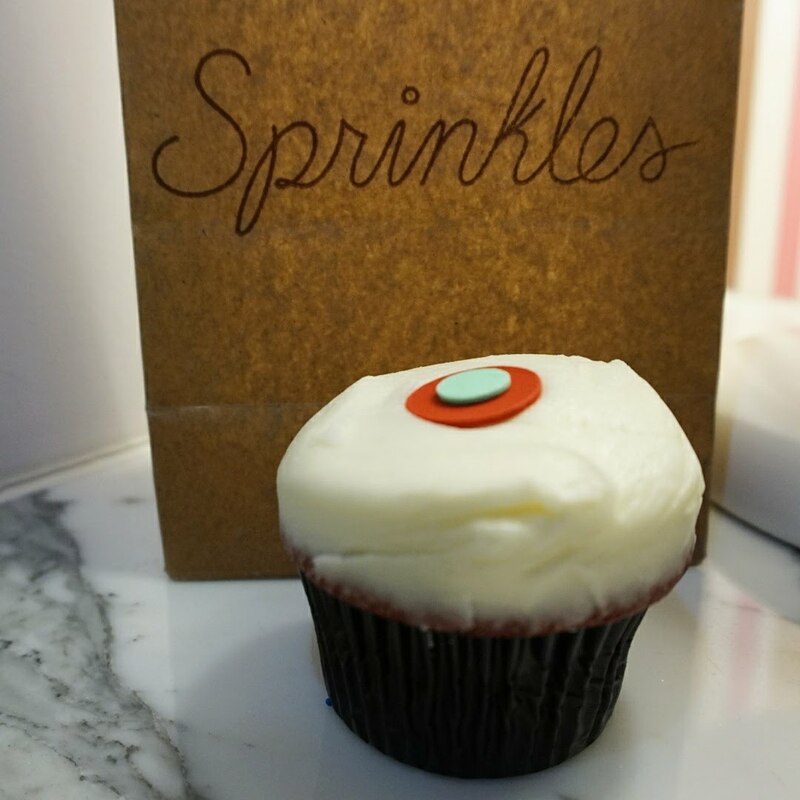 It was good, but I’ve had cupcakes that were fancier or more creative in flavor profile. Fried Chicken meal #3. I had the internal struggle of should I get fried chicken again or something else. 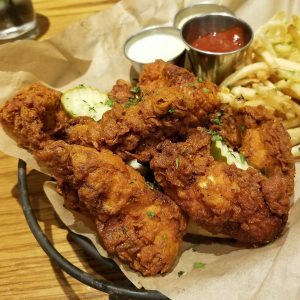 I ended up with the Nashville Hot Pickle Brined Fried Chicken. Another giant basket of fried chicken and fries was in front of me. It did not disappoint. Another pile of crispy fried chicken finished again. 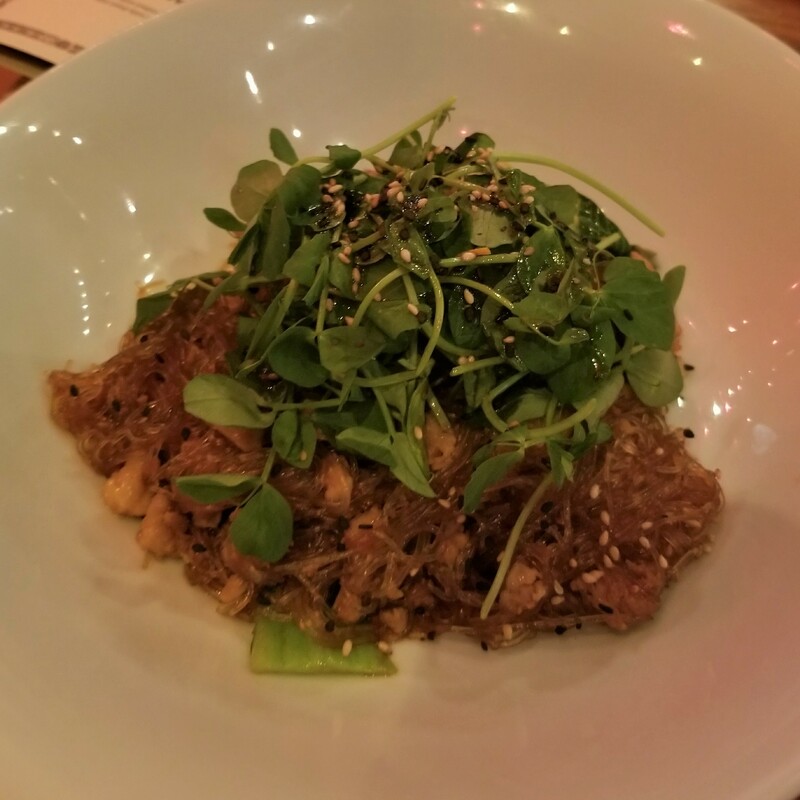 Tom’s Urban is a good location overall just because there is definitely going to be something on the menu for everyone. 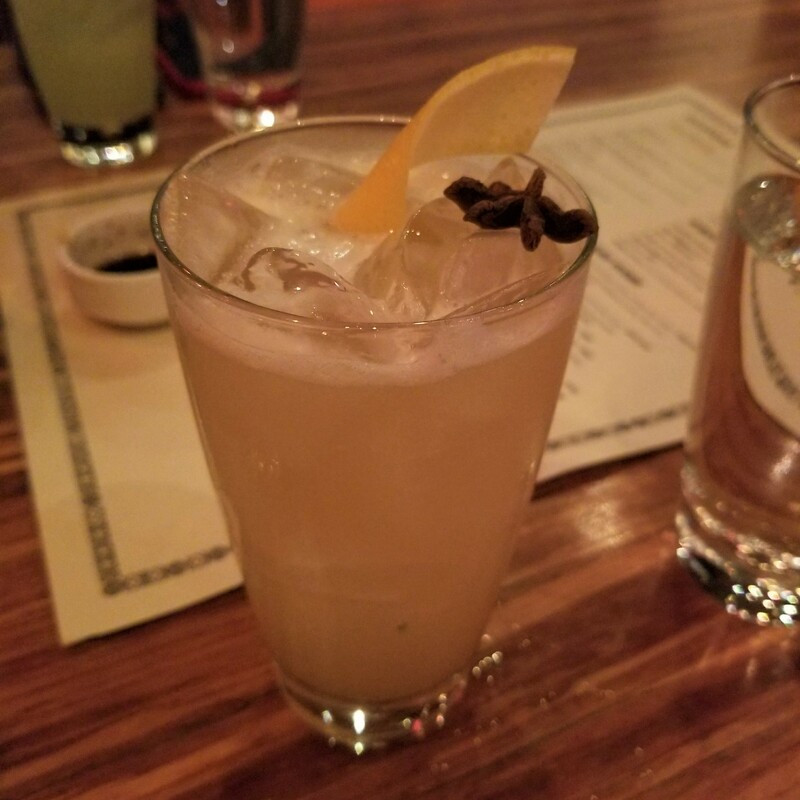 Located at the Mirage, we ate at The Still while watching some NFL playoffs. 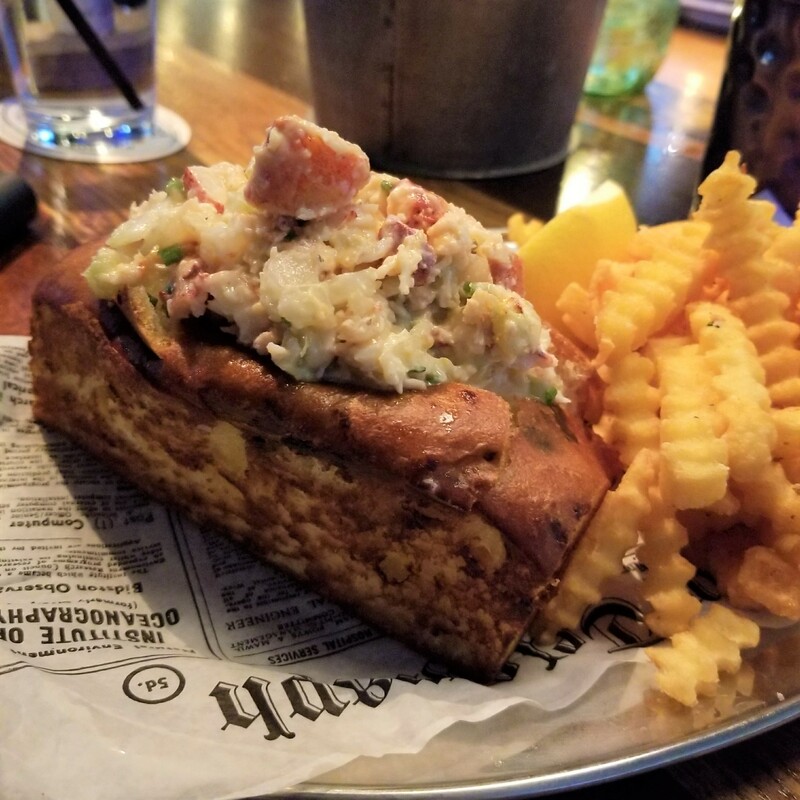 I had a great Lobster Roll that was on special that day along with some pretty good cocktails. Really cool atmosphere. The restaurant has a food truck in the back as its kitchen. Las Vegas is such a food city. So much tourism means there needs to be variety of places to eat. I really need to go to Vegas at a time that doesn’t have one of the largest conventions in the world. There are so many places I would love to try both on the Strip and around the city.